Depending where you choose to go, travel can offer the thrill of someplace new, or the contentment of someplace familiar. My friend David much preferred the latter: He did a lot of traveling, but most of it was to either Venice or London. Occasionally he could be cajoled into going elsewhere, but he always wanted to get back to his favorites. He once told us that he’d stopped counting how many times he had been to Venice after his 27th visit. So far, I’m still stuck on one. Unlike David, my inclination is to go somewhere I haven’t been before, since there are so many wonderful places to see. On the other hand, I’ve been fortunate to have seen many wonderful places already, and I’d love to see some of them again — you, too? Unfortunately, most of us don’t have unlimited time and money, so when an opportunity to travel does come along and we ask ourselves “where shall we go?”, we have to pick either a new adventure or an old favorite. Which, I acknowledge, is a nice problem to have. • Paris embraces me; its boulevards and museums and sidewalk cafés reach out affectionately. Not everyone feels that way about the City of Light, I know, but when I daydream about traveling, this is usually where my mind takes me. • Yellowstone National Park has awe-inspiring sights around almost every bend in the road or trail. At certain times of the year there are hordes of other tourists around every bend, too, but a well-timed visit can make you sigh deeply at Yellowstone’s majestic beauty. • Moorea is not as well-known as its neighbors Tahiti and Bora Bora, but offers similarly gorgeous beaches and abundant tropical fish. It’s a great place to kayak or dive or hike… or just sprawl out and do nothing. • Shanghai impressed me with its contrasts: Parts of the city are ancient, but nearby there are skyscrapers. Buildings along the Bund evoke 19th-century Europe, but directly across the river is a business district that, after dark, is lit up like Las Vegas. I have had just a taste of Shanghai, and it made me want more. • The California Coastline is where I live, so forgive me if this sounds like boosterism. 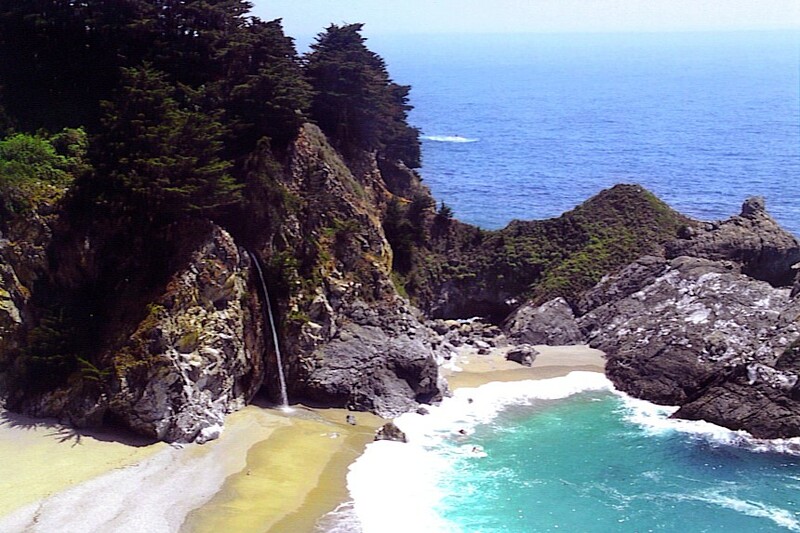 The Pacific coast’s natural beauty stretches for hundreds of miles (and in fairness, to Oregon and Washington, too). As much as I like going elsewhere, it’s great to come back here. So… what about you? Is there some special place you look forward to seeing again? For a period of several hundred years, if your average Joe (or José or Giuseppe) wanted to see fine art, he had to go to church. Well, that might be exaggerating slightly, but there really wasn’t much art in public places other than that building in the middle of town that was named for some saint. The first museum didn’t come along until the late 1600s, but giant churches, such as Hagia Sophia in Istanbul, had begun to be built in the 6th century. Inside these buildings were works created by great artists and intended to help a largely illiterate population comprehend stories from the Bible. Many of the masterpieces of painting and sculpture were commissioned to convey concepts of saints and angels, and to literally scare hell out of parishioners. Not only were painters and sculptors and woodcarvers involved, so were stonemasons and glaziers and grunt laborers, hoisting massive stones hundreds of feet off the ground and nudging them into place. The tools of their day were primitive by modern standards, but they were used to create incredibly elaborate works of art. Think about the challenges of building Notre-Dame de Paris (begun 1163) or the Cologne Cathedral (begun 1248) or St. Mark’s in Venice (consecrated in 1094). Some of these churches took hundreds of years to be completed — several generations of the same family might have worked on it. We tend to consider all giant church buildings as cathedrals, but in Catholic tradition, a cathedral is a church that is the official seat of a bishop. 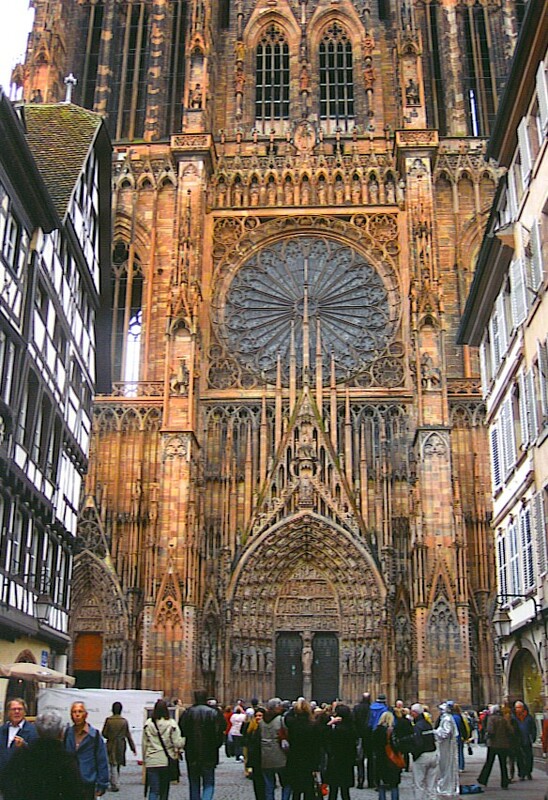 Another kind of grand church is called a basilica; it has been given ceremonial significance for some reason, such as containing the bones of a saint. 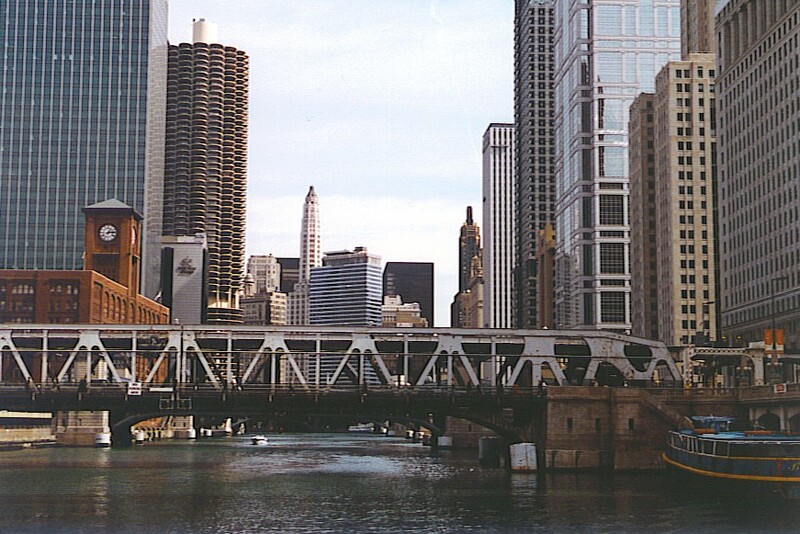 • The front of the building faces west; the end of the building is to the east. That means that worshipers look toward the rising sun, a symbol of Christ’s resurrection. • The floor plan is in the shape of a cross. That can be hard to make out sometimes because of side chapels and other architectural embellishments, but that’s the general idea. The nave is the long part of the cross, and is the main assembly area in the church; the transept is, in effect, the cross’s arms. Where they meet is known as the crossing (some architect must have spent several seconds thinking up that term). • At the eastern end is the apse, a semicircular niche that serves as a sort of visual framing device for the altar. Sometimes it also provides seating for the clergy. • The aisles are along the outside walls. Above them, just under the ceiling, is the clerestory. Yes, that looks like someone’s bungled attempt to spell cholesterol, but it’s an actual word, pronounced “clear-story”. that’s where the windows are that admit light into the cathedral. Everything else I know about cathedrals could probably be exhausted in a couple of hundred words, but that’s enough for now. The main thing to remember is that the building doesn’t just contain works of art — it is itself a work of art. As we have often seen, the science of economics is inexact. One theory after another has been proven wrong; experts crunch numbers to predict that prosperity (or doom) is just around the corner, and they seem to be right even less often than weathermen. I’m no scientist, but I’m capable of being wrong, too, so here’s one reason I think the U.S. economy has stagnated: it’s all those pennies you have in that jar in your bedroom. OK, it’s not entirely your fault, but there are 300 million people in the United States, and we’re all doing the same thing you are — just tossing our spare change into a drawer and leaving it there. No one knows for sure how many pennies aren’t circulating, but estimates range from one-half to two-thirds of all pennies made by the U.S. Mint are now in hiding. The number of one-cent coins produced by the Mint’s facilities in Philadelphia and Denver varies from year to year. 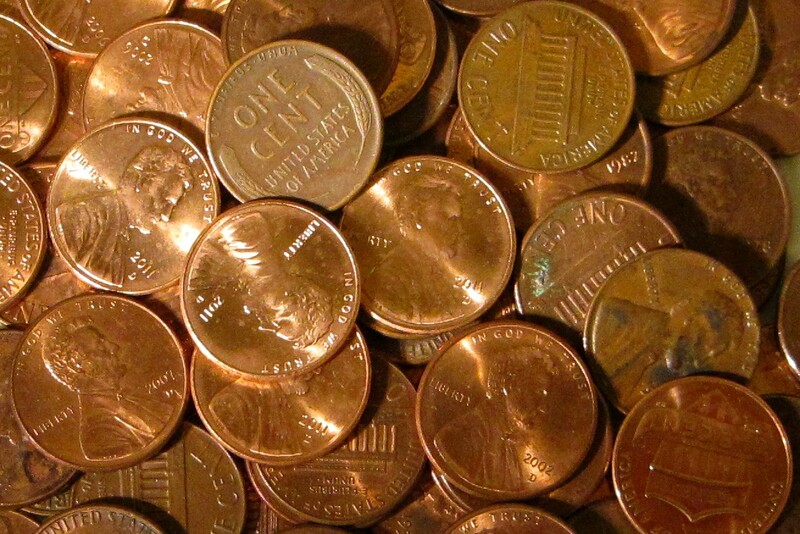 In 2000, over 14 billion pennies were produced; in 2010, around 4 billion were made. Obviously some coins stay in circulation (or in your sock drawer) for many years — it’s believed that there are a total of at least 140 billion pennies floating around out there. So that would be… wait a second while I divide by… carry the one… I come up with $1.4 billion in pennies! That’s too much to leave in ash trays by cash registers, don’t you think? Here’s another thing: Until 1982, the Lincoln cent was at least 95% copper, but as that metal became more expensive, the formula changed. It is now 97.5% zinc and 2.5% copper — basically, Abe Lincoln’s little portrait is a disc of copper-plated zinc. Even so, the Annual Report of the U.S. Mint stated in 2010 that it cost the Mint 1.79 cents to make each penny, when costs of materials, production and shipping are included. So we taxpayers are losing money by not keeping those coins in circulation. Think about it — the more times a penny changes hands as part of an actual transaction, the cost of producing it is effectively reduced, because a replacement doesn’t have to be minted; we’re getting our money’s worth from it. By the way, some geniuses got the idea several years ago that pennies — especially the pre-1982 models — could be melted down and sold to metal recyclers, since the copper content was worth slightly more than the coin was worth. As a get-rich scheme, this is about as practical as selling your hair — you need a heckuva lot of it to make any serious money. Besides, if you get caught melting down U.S. coins for their copper content, it’s a $10,000 fine and/or a maximum prison term of five years. To make matters worse, your attorney probably won’t accept payment in pennies, and in prison, coins don’t have as much buying power as cigarettes. In Benjamin Franklin’s day, a penny saved was a penny earned. In our times, though, a penny saved is just clutter. But if you take that penny and put it with all the other loose coins in your stash… you probably have enough to buy yourself something nice, like batteries or a magazine. Go ahead, you deserve it — and hey, you’ll be helping our economy. A grateful nation thanks you. Do you have a sister city? Well, not you personally; I mean, is the community in which you live paired with another one somewhere in the world? It was just a few days ago when I learned that my town has an official relationship with a place in Mexico that I didn’t know existed. In fairness, most of their population has probably never heard of us, either. It got me wondering, though, what the deal is with sister cities. When it’s Thanksgiving, can you ask your sister city to bring pumpkin pies for 200,000? Will your sister city let you cry on her shoulder when that nice-looking midwestern township you’d been seeing dumps you for Las Vegas? An organization called Sister Cities International, which facilitates these relationships, traces its roots to the Eisenhower administration, but Toledo, Ohio, and Toledo, Spain, claim to have been hermanas since 1931. Coventry, England, and Stalingrad (now Volgograd) formed a misery-loves-company friendship in World War II, when both were heavily bombed. Incidentally, in some parts of the world these municipal partnerships are referred to as friendship cities or twin towns. No matter what they are called, the basic idea of these relationships is to carry out cultural and economic exchanges to their mutual advantage. This initially involves city officials getting together, drinking too much and making long-winded toasts. Worthwhile projects eventually emerge, though, and I’m in favor of anything that encourages international cooperation. Those are probably exceptional pairings. In most cases, it seems that the glamorous cities seek each other out, like rush in a sorority house. Beverly Hills has two sisters: Acapulco and Cannes. Shanghai, China, has 61 municipal siblings, including places like Casablanca, Montreal, Istanbul, and Milan — Wichita need not apply. Some of the most beautiful sisters in the world are in the family of Paris: Washington, D.C., Rome, San Francisco, Buenos Aires, Prague, Berlin, São Paulo, Moscow, Madrid, Beirut and Chicago are among them. Technically, most are called “partner cities” or some other euphemism, but they all hang out with Paris and go shopping for purses together. The New York sorority is a bunch of lookers, too: Cairo, Tokyo, Beijing, London, Johannesburg and Budapest are sisters of the Big Apple. The Sister Cities International website gives some suggestions about how these relationships can begin, but I still wonder who asks whom first: “Do you want to share cultural, educational and economic development projects?” That has to be awkward at times. How do you say “no” when someone wants to be your sister, even if you have little in common? Well, I don’t think you can (unless you’re one of those rich-girl cities). You just smile and say, “I’d love to!” Based on that, Nashville might be the best sister a city could have: it said “yes” to Belfast, Ireland, and Edmonton, Alberta. The vocabulary for a boat this small is only 137 words. Experts estimate that there are over 6,500 languages spoken throughout the world. This does not include Nauticalese, or Boatspeak, or whatever we want to call the jargon of sailing. For centuries, people who work or play on boats have been known for their colorful language. “He swore like a sailor” is a familiar expression, and if you’ve spent any time on the water, you know that boats give lots of reasons to string together creative compounds of four-letter words. Swearing like a sailor is not quite the same thing as talking like a sailor, though. Unlike swearing, which seems to come naturally, the language of boaters is complex and difficult to master. Its origins probably go back to the Phoenicians, but the fundamental fact about Boatspeak is that no matter what a thing is called on land, it is called something else on a boat. Left is “port”; right is “starboard”; front is “bow”; back is “stern”; beer is “breakfast”. Supposedly the indigenous people living above the Arctic circle have a hundred words for snow; boaters have about that many for knot, such as “half-hitch”, “bowline” (pronounced “bowlin'”), “clove hitch”, etc. To Boatspeak purists, however, those are technically not knots, but are really techniques involving rope, since “knot” means something else (a nautical mile = 6,080 feet). There are also many words in sailing jargon that have no terrestrial equivalent. “Yawl” merely sounds like the plural pronoun widely used in the southern United States. In fact, it is a kind of sailboat. 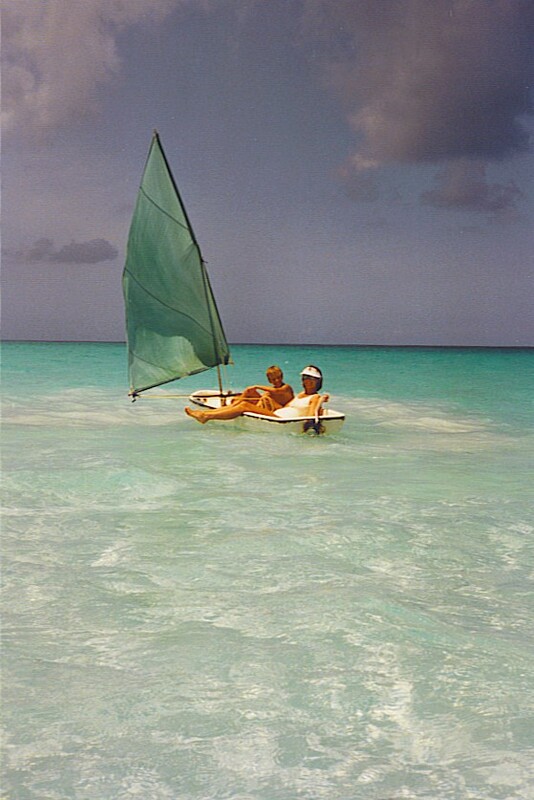 Basically a sailboat can be identified by two characteristics: the number of masts, and where they are located. A mast, as you know, is that vertical pole to which the sails are attached. OK, so a sloop only has one mast. There are other single-masted vessels, like cutters and catboats, but those terms are taught in advanced Boatspeak. A ketch and a yawl both have two masts, with the main being taller than the back (mizzen) mast. The difference is that on a ketch, the mizzenmast is in front of the steering mechanism, while on a yawl, the mizzenmast is behind (aft) the rudder. A schooner has two (or sometimes more) masts; the shorter mast is in front of the main. Got all that? With all its technical jargon — a vocabulary of hundreds of words — Boatspeak lacks one essential term. There is no single word that conveys the pleasure one derives from gliding across the water on a perfect day, powered only by the wind. The closest word in English is probably “bliss”.